MILWAUKEE — REVAMP Property Management will host Milwaukee’s first ever PropTech conference on May 1, 2019 at Venue Forty Two. Bowerman said his team began organizing the conference series because they hold a tremendous amount of pride for the city of Milwaukee. Just as property technology allows business professionals to feel like kids again, Venue Forty Two’s engaging atmosphere and entertainment combines work and play for an experience unlike most conferences. The day-long event will last from 10:00 a.m. to 4:00 p.m., featuring over 15 keynote speakers, networking sessions, breakout discussions and Q & A forums. Nicknamed “PropTech,” the conference will focus on emerging property technology trends in real estate such as drones, autonomous vehicles, blockchain and AI. Not only will attendees learn about innovations in real estate, but they will also have opportunities to speak with innovators and leaders in America’s real estate industry such as Adam Koehler from Crypto Properties, William Reilly from Impulse Car Share, and Alec Shaw from Euphrates. As Milwaukee’s real estate industry rapidly grows, it is evolving into a smart city, or hub for innovation and new tech. Engaging in this conference will directly contribute towards the Milwaukee tech hub movement. 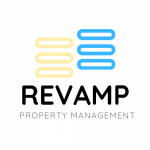 REVAMP is a Marquette University, College of Business Administration, and Center for Real Estate sponsored firm, solely operated and managed by Marquette students. REVAMP targets buildings whose owners have not actively maximized rents nor efficiently managed their properties. We follow a proven, hands-on business model which combines the experience, systems, and procedures of our partners and advisory board with superior marketing and asset management in a cost-effective manner to provide professional property management.